Civil War: Photographs, Manuscripts, and Imprints provides a sample of the photographs, images, albums, and more, relating to the Civil War held by SMU's DeGolyer Library. These items illustrate both the Confederate and Union sides of the war. The Civil War defined and galvanized who we are as a nation. More than one hundred and fifty years after the conflict, the Civil War continues to fascinate the public. Dividing north and south, both sides thought the war would end quickly; however, the Civil War lasted four grueling years, from April 1861 to April 1865. It was the most devastating conflict in U.S. history, killing more Americans than all other wars combined. At the outbreak of the war, 11 Southern states seceded to form the Confederate States of America. There were 23 states and territories that remained in the Union. Within the states, on both sides, sentiments were often divided, even among families. Civil War statistics are staggering with more than 750,000 soldiers killed and almost 500,000 wounded of a US population of 31 million. Virtually every American sustained the collective trauma of loss, having a relative, friend, or acquaintance who was wounded, dead, or missing. 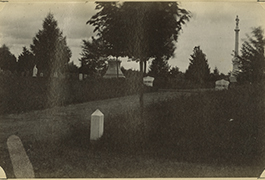 After the war, reunions and monuments were important, in fact, one of the ties that eventually bound the north and south was a shared sense of mourning and experience. As people continue today look to the past to find an explanation for such strife or perhaps consider the life of a relative engaged in battle, there are reenactments, seminars, roundtable discussions and thousands of publications on the subject. 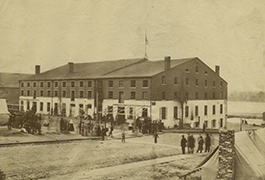 The DeGolyer Library holds important materials related to the Civil War in several photography accessions, including stereographs, and in collections of manuscripts, maps, period books and some later reunion materials. 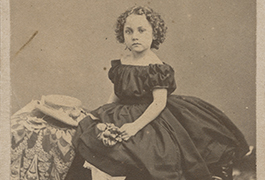 The Lawrence T. Jones III Texas Photography Collection contains numerous portraits and other images related to Texas and Texans during the war and during Reconstruction into the 1870s. Among the other Civil War related photograph collections of interest is a series by Andrew J. Russell who was the official photographer for the US Military Railroad. 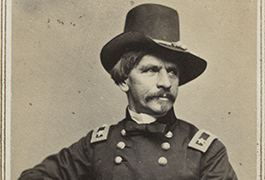 His images show the importance of railroads and the Union Army’s military strength. 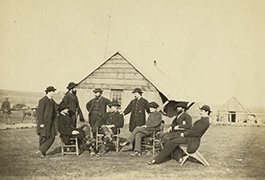 The Civil War digital collection contains unique items pertaining to the war between the states and its aftermath. There are many portrait cartes de visite of Union and Confederate generals, officers, and soldiers, military men so influential during the course of the War. 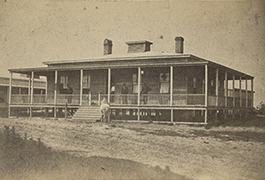 The DeGolyer Library also has a particularly strong set of holdings of Texas-related Civil War images, which are found in the Lawrence T. Jones III Texas Photographs collection. Throughout both collections, there are startling images of slave children, the destruction of war, and women left at home while their relatives were off fighting. 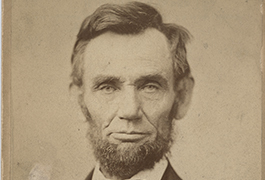 Alexander Gardner cartes de visite and portraits: Photographs by Gardner, including his portraits of Abraham Lincoln, are some of the most iconic of the conflict. Trip through Virginia, West Virginia, Maryland and Pennsylvania: an interesting Civil War album containing 129 photographs made by brothers T. Dwight Biscoe (1840-1930) and Walter S. Biscoe (1853-1933) on a post-Civil War trip through Virginia, West Virginia, Maryland and Pennsylvania primarily of Civil War battlefields and cemeteries. Mounts include detailed descriptions about the battles: the battlefields of Fisher's Hill, Cedar Creek near Winchester, Virginia, Harper's Ferry, Antietam and Hagerstown, Maryland.